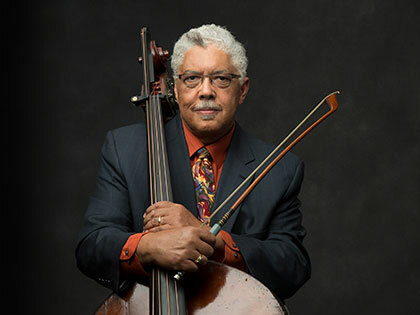 The Story Behind “Quiet Pride"
Please join jazz bassist, composer and Ida Cordelia Beam Distinguished Visiting Professor Rufus Reid as he presents an insider’s perspective on the conception and creative process associated with his Grammy-nominated composition/recording “Quiet Pride: The Elizabeth Catlett Project”. This composition is based entirely on the work of esteemed Iowa alumna artist Elizabeth Catlett, and represents a uniquely interdisciplinary merging of the worlds of jazz, composition and visual art. The lecture will discuss how Reid has been able to connect his 50 year professional performance and teaching career with the daunting and exhilarating world of composition leading up to the 2018-19 Hancher concert series performance of “Quiet Pride” on Saturday, October 13. Free and appropriate for all ages. There will be a post-presentation reception/meet and greet from 8:30 pm-9:30 pm.